public perception of Vietnam veterans. made payable to "The United States of America,"
who no longer understand it. 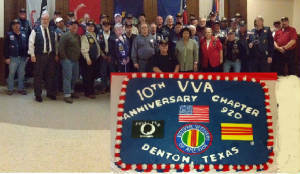 HAPPY BIRTHDAY VVA CHAPTER 920! VVA 920 WAS 10 YEARS OLD IN 2013!! !